VISIT DENVER employs a team of specialists in its Tourism Department who can provide you with information and assistance, free of charge, as you plan your group trip. From girlfriend getaways and student travel to church groups and family reunions, you will find a multitude of tools online that are designed to save you time and money. Start planning your group trip to Denver! Denver welcomes family and class reunions with lodging and indoor and outdoor venue options galore. 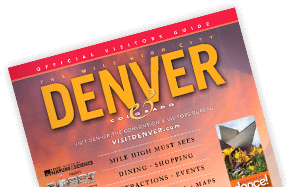 VISIT DENVER can help with ideas and promo materials.